by Ladwig, Gail B., R.N. ; Ackley, Betty J., R.N. 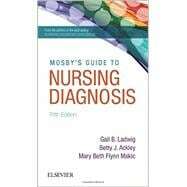 ; Makic, Mary Beth Flynn, Ph.D., R.N.